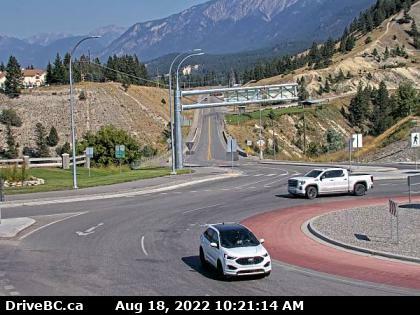 Radium Hot Springs Welcomes You! The Village of Radium Hot Springs is located in BC, only a short hour and a half drive from Banff, Alberta at the south entrance of Kootenay National Park. This peaceful Village has something for everyone. After a leisurely drive through the awe-inspiring Kootenay National Park on the Banff-Windermere Highway (hwy 93S), before you enter the Village you will encounter the world famous Radium Hot Springs Mineral Pools. These odourless pools are surrounded by natural rock walls, and scenic way to relax and recharge. As you arrive you will be greeted with the promise The mountains shall bring peace to the people and we will deliver on this promise. 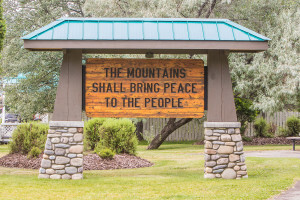 Incredible dining, various styles of accommodation, 4 seasons of endless activities, memorable community events, spring birdwatching, year round wildlife watching, fall colours, and the most beautiful alpine scenery you can imagine, you will easily discover why Radium Hot Springs is British Columbia’s best mountain getaway destination. Start your bucket list today! Summer – Raft the Rockies, Paddle the Columbia, Golf the Columbia Valley Golf Trail, Explore Kootenay National Park, Relax on Lake Windermere and don’t forget to visit the Radium Wood Carver! Winter – Skate the Whiteway, Spend your day on the slopes, Sled Radium, Spend the day Snowshoeing or Cross Country Skiing, or a peaceful walk through the community. When travelling in the back country please know before you go, for the latest avalanche conditions click here. We invite you to discover, explore, enjoy, and find your peace.